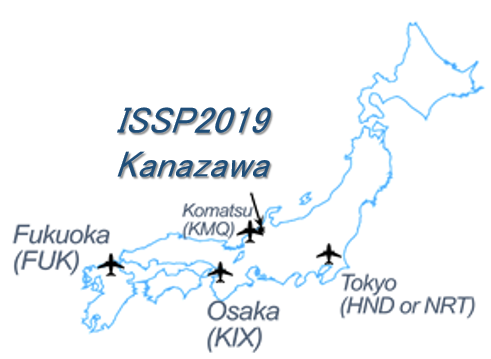 ISSP2019 will be held at the Laboratory of Entrepreneurs Ohgigaoka Campus, Kanazawa Institute of Technology (KIT). Kanazawa is the biggest city in the Hokuriku region of Japan. 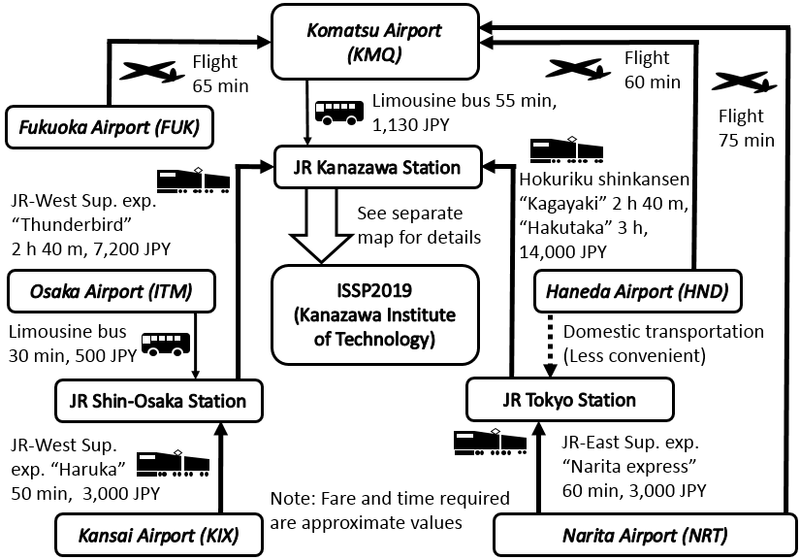 Detailed information on how to reach the City from international airports is available from the Official Home Page of City of Kanazawa. 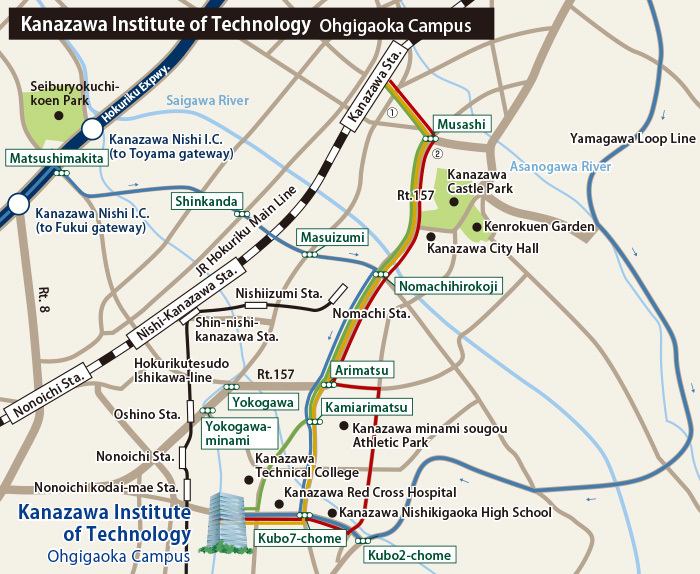 You can reach KIT Ohgigaoka Campus from Kanazawa station (and City downtown) by bus, train or taxi. Ride on a local bus will be a convenient way for most of the attendees. At Kanazawa station, ride on the bus Nos. 32 or 34, 35. They arrive at #8 bus stop of the bus terminal at the east exit of the station. 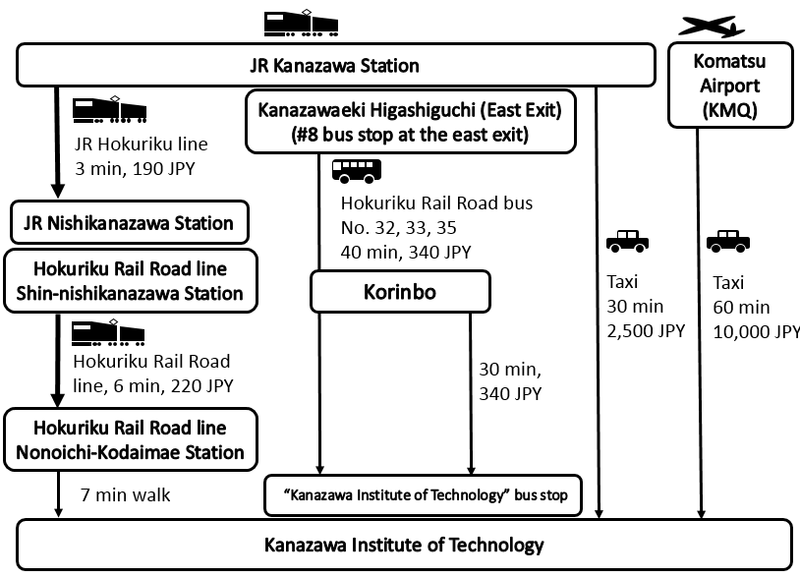 If your hotel is located at Korinbo, the Kanazawa city downtown, bus No. 33 or 34, 35 can also be used. Time table of the bus routes will be available here as soon as it is fixed. 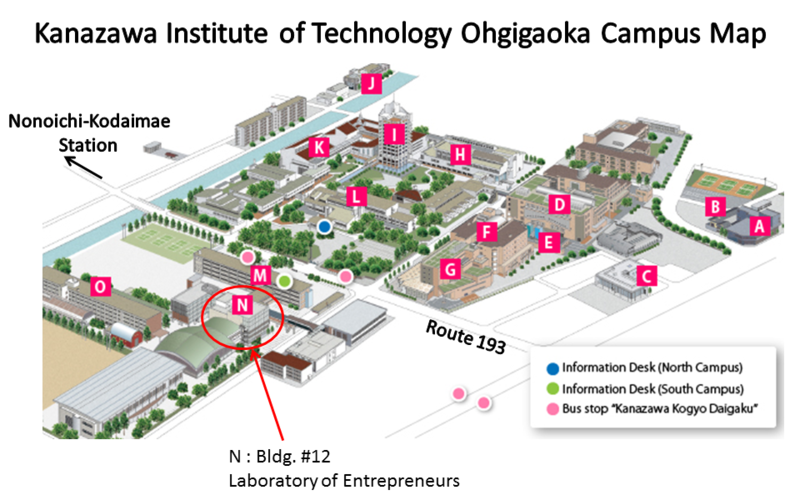 The symposium is held at the "Laboratory of Entrepreneurs", Bldg #12. It takes about 5 min walk from the bus stop.